A psychologist looks back on his struggles to quiet the seething minds of his patients—and his own—in this debut memoir. 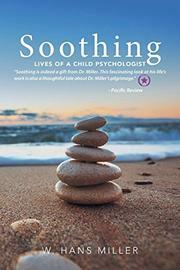 Miller, a child and family therapist and founder of UCLA’s Parent Training Clinic, takes as his central task the “soothing” of psyches agitated by anxiety, shame, compulsions, and the unfulfillable expectations of parents and society and brings to bear two sources of insight into that process. The first is his own dysfunctional family history with an unstable father plagued by nervous breakdowns and a resilient but sometimes-cold mother. Out of that stew came the author’s own compulsive talkativeness and crippling stage fright when speaking to large audiences, a blend of neuroses he spent much of his life battling. The second is his trove of reminiscences of his patients. Miller’s case studies run the gamut: a young girl who hatches a new phobia whenever he cures the last one; a man in his 70s who obsessively buys CDs he never listens to; a bright, socially awkward teen with Asperger’s who fantasizes about mayhem and skulks on the roof with his dad’s rifle; and a female psychologist who comes to him for treatment, then leaves a note on his wife’s car ordering her to “stay the hell away from my therapist!” They also include a baseball player trying to get his batting average back to .300 and a young man slipping into paranoid schizophrenia who gets yanked from therapy by his parents, with tragic results. Miller writes with a nice balance of subtle, searching analysis and warm empathy that vividly evokes psychic pain and embarrassment—especially his own—while teasing out the convoluted mechanisms behind them. (Of one patient who threw a fit when a leaf fell off the author’s office ficus plant, he writes, “All she needed to recover from hellish abandonment was for her words to be accepted just as spoken with no judgment…to have her very existence acknowledged.”) It’s fascinating to watch as he improvises strategies to resolve his patients’ problems through everything from traditional talk therapy to breathing exercises and a technique called EMDR that involves slowly tapping the patient’s hands to unearth buried childhood traumas. The result is a revealing, humane, down-to-earth look at the day-to-day art of clinical psychology that should give many readers insights into their own problems. A fine, engrossing portrait of mental illness and healing.